We all know that planning your big day can be a real trial – from picking “the” dress to nailing down that wedding reception venue, sometimes it can feel like your to-do list just never ends. That’s why when it comes to deciding on the perfect wedding catering for your special day, the team at Cuisine on Cue are at the ready to make all of your wishes come true. Whether you’re dreaming of an intimate low-key dinner with friends or a glamorous cocktail and canapé soiree, we know of a space to suit every style and budget. 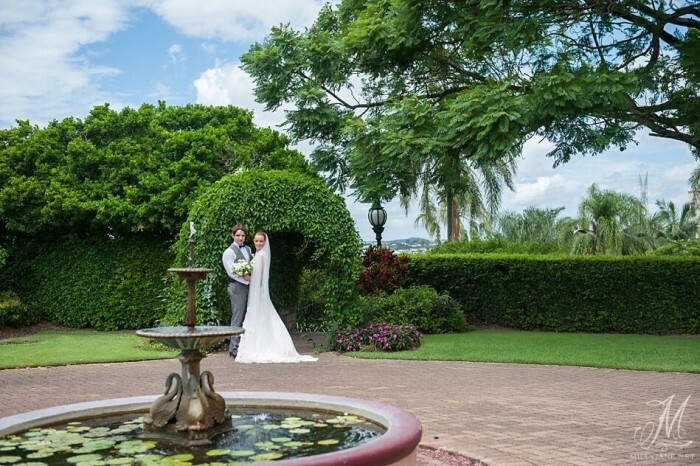 With so many exceptional Brisbane weddings venues to choose from, you’ll be glad you left your wedding in the hands of Brisbane’s wedding catering experts. Room Three Sixty also offers two connecting terraces for outdoor glimpses of the Brisbane river and iconic Kangaroo Point cliffs. With its own in-house bar, guests to weddings and corporate functions may pair those glasses of wine with panoramic views on the terrace. 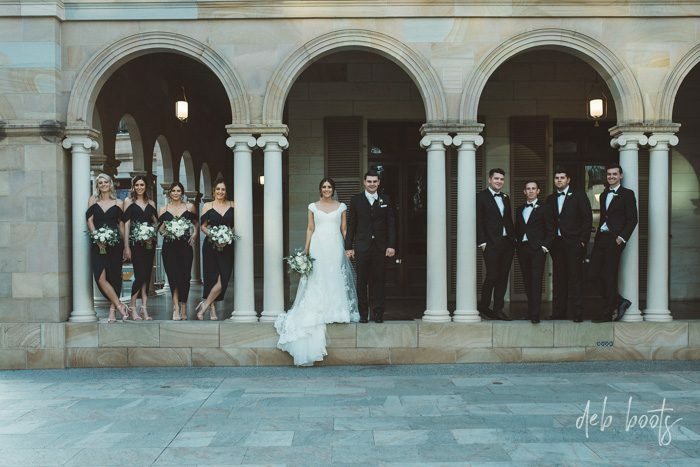 Understated and elegant, this historic Brisbane wedding venue boasts the kind of sophisticated charm your special event deserves. Built in 1846, this heritage listed home boasts wide, sweeping verandahs that look out over the immaculate riverside gardens. Say “I do” to the effortless allure of a Fountain Courtyard ceremony before retreating inside the wedding reception venue to raise a glass in celebration. 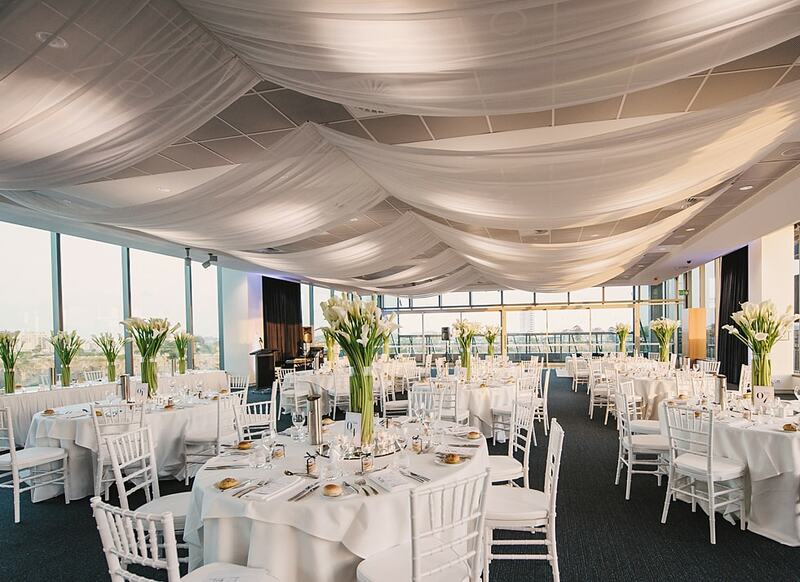 With enough room to accommodate up to 60 guests seated, it’s the perfect space to host an intimate sunset dinner overlooking the iconic Brisbane River. 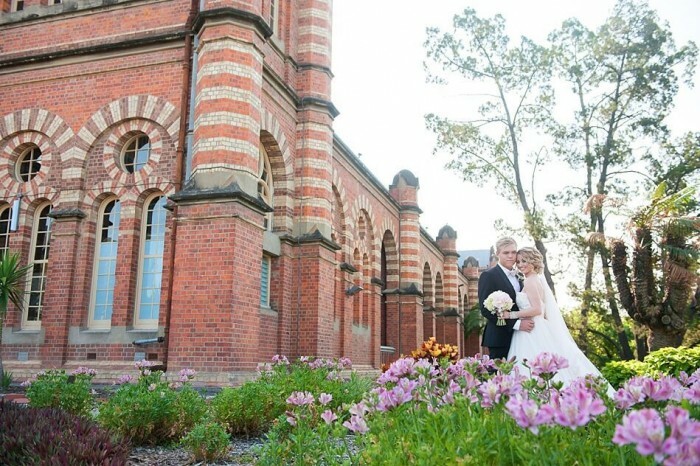 Arresting, striking and utterly memorable, make a statement on your big day with a truly iconic Brisbane wedding venue at the Old Museum. 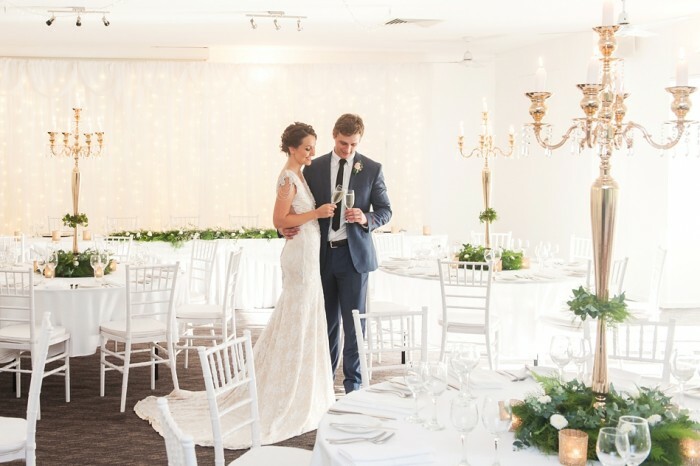 Set against the vibrant background of Brisbane’s CBD, this unique wedding reception venue mixes pre-war charm with modern industrial accents. 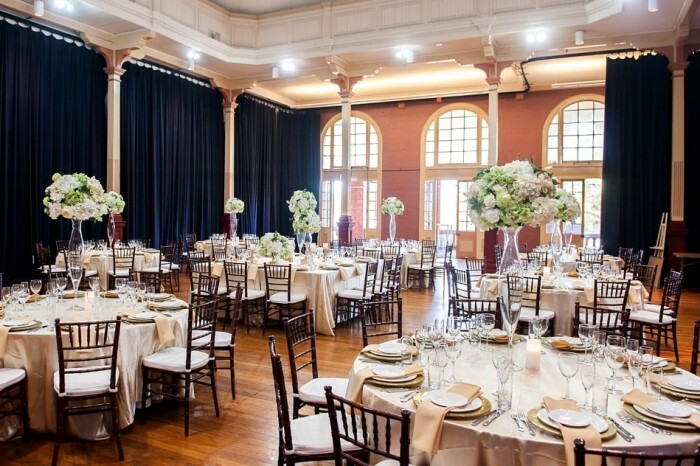 Elegant and adaptable, the larger concert hall venue can comfortably accommodate up to 450 guests while the smaller studios can cater for approximately 120 guests, making it the perfect choice for a stylish cocktail and canapé function. The best part? As exclusive wedding caterers to this beautiful piece of Brisbane iconography, we guarantee your guests will be just as impressed with the incredible selection of food as they will be with the venue itself. Get back to nature on your big day and go walkabout with a wedding reception venue guaranteed to please. Nestled serenely in the beautiful D’Aguilar National Park, just 12 kilometres from the bustling heart of Brisbane’s CBD, Walkabout Creek is the city’s very own tranquil rainforest escape. Whether it’s a stand-up cocktail event overlooking the lush tree canopies or an elegant sit-down meal with friends, there’s a space to suit every style and budget. So when it comes to nailing down all the details for your big day then look no further than Brisbane’s wedding catering experts. Just say “I do” to Cuisine on Cue. 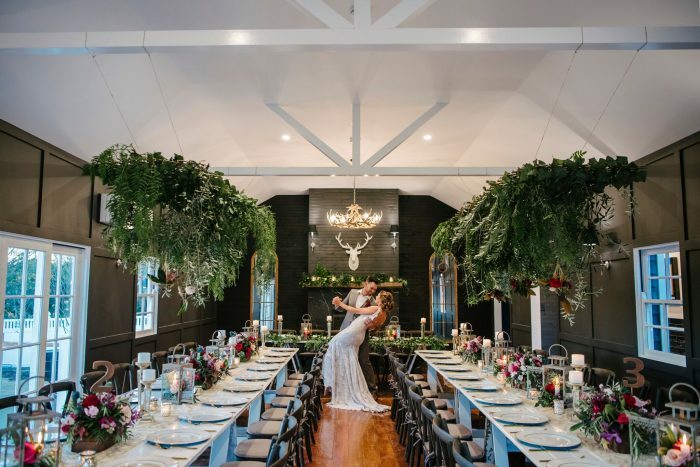 This beautiful country wedding venue captures the beauty and romance of the surrounds paired with all the modern day finishes needed for any celebration. The historic church has been transformed into a stunning white chapel boasting vintage chandeliers, white backwood chairs and an angelic back lit altar. The chapel opens onto a romantic courtyard, centred around the oak tree, where your guests can continue celebrations. Nestled behind White Chapel is Black Hall, a reception space offering restored timber floors, panelled walls and a welcoming stone fireplace complete with antler chandelier. 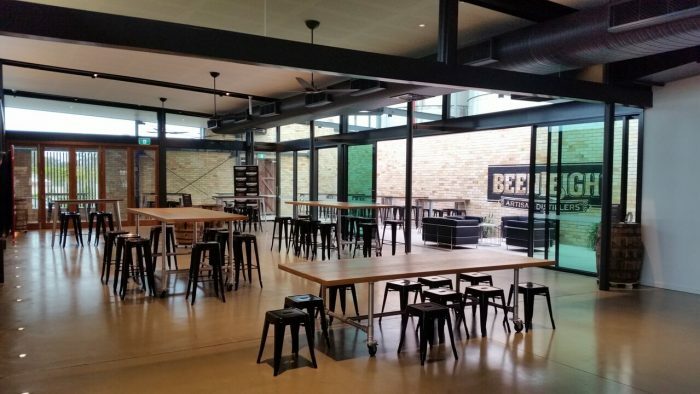 Long, rustic timber tables with oak cross-backed chairs, also help to create the country feel. This quaint setting still has all the modern luxuries needed to ensure a beautiful and comfortable wedding. Celebrate your dream wedding at one of Brisbane’s most beautiful, heritage listed venues. Located in the heart of the CBD, Old Government House is part of the QUT Precincts. This timeless and elegant reception venue houses a beautiful courtyard, grand sweeping staircase and a Swarovski crystal chandelier. Host your ceremony in the grand hall, the courtyard or one of the perfectly manicured lawns, before heading into the banquet hall for dinner. This venue is the perfect spot to host a warehouse style wedding. Set on the green banks of Albert river in Eagleby, the setting exudes historic charm. Exposed beams in the ceilings, brick walls, a unique concrete bar and hand made oak barrels create the perfect background for any wedding. The lush rolling lawns provide the perfect space for an outdoor ceremony whilst the distillery reception space can comfortably fit up to 200 people with the flexibility of either cocktail or sit down receptions. This venue is full of character and is the perfect spot for your dream warehouse wedding to be brought to life.